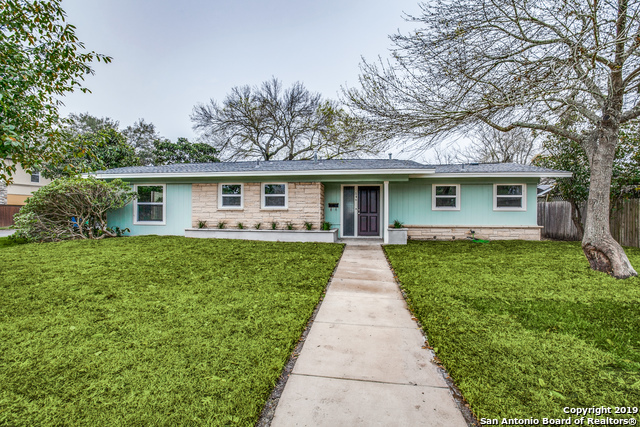 All NORTHWOOD homes currently listed for sale in San Antonio as of 04/25/2019 are shown below. You can change the search criteria at any time by pressing the 'Change Search' button below. 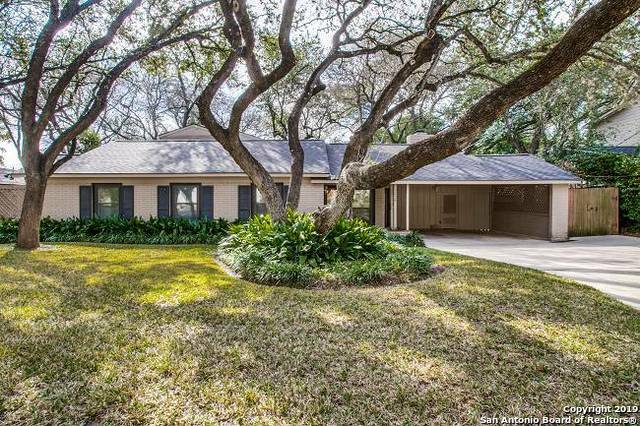 "Beautiful family home in 78209 in AHISD. This house is a 5 bedroom with 4 full bathrooms. 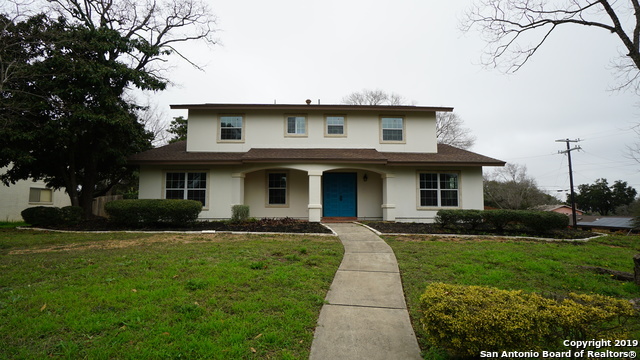 The house has hardwood floors throughout with two living areas an open floor plan. The kitchen has granite counter tops with a granite island and stainless steel appliances. The house has a great backyard with a patio slab with a built in grill and sink. The first floor has four bedrooms, 3 of them have walk in closets. The second floor has an office and a full bathroom and bedroom. 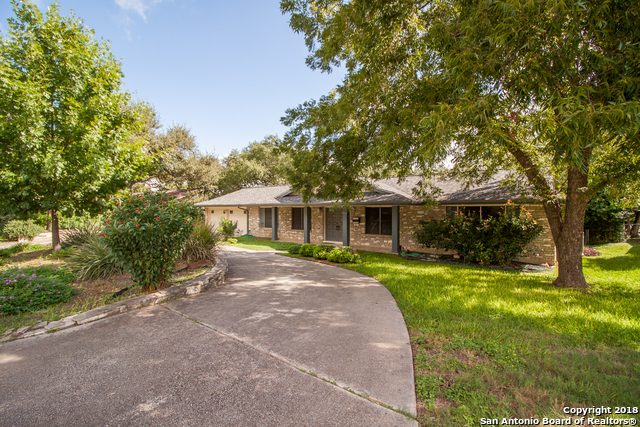 Come see this beautiful "
"Exquisitely designed 1 story Roger Rasbach home in AHISD has a stately, yet contemporary, true Texas feel! 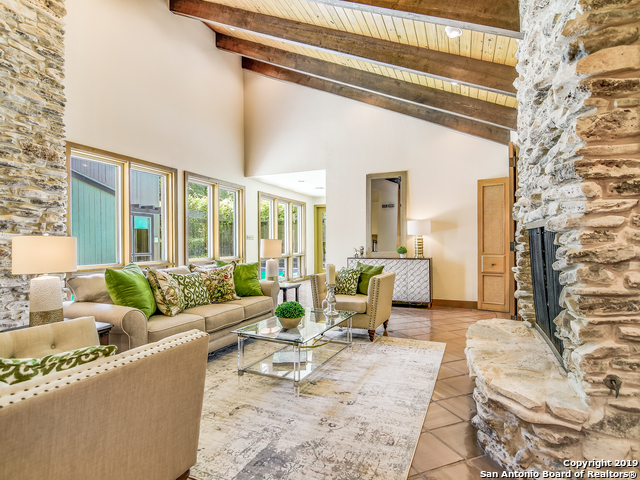 The home features beautiful architectural details including hand carved mesquite entry doors, 3 river rock fireplaces, lots of natural light, beautiful high wood and beamed ceilings, and timeless hand-painted Italian tiles adorning the kitchen. The home has a fabulous floor plan designed for easy living and beautiful entertaining. All rooms are spacious! 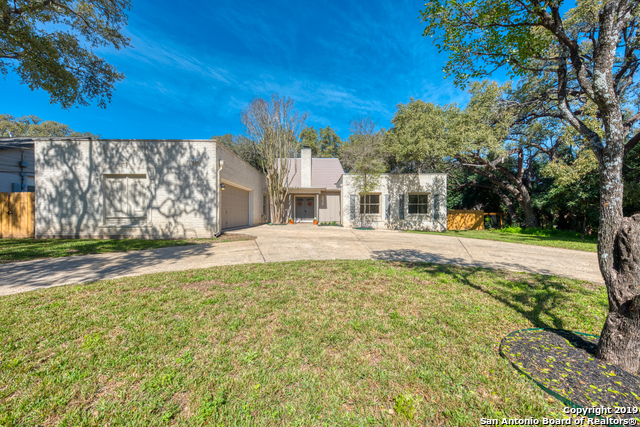 Centrally located on quiet cul-de-sa"
"Sophisticated modern living awaits you in this bright & open hidden gem in AHISD. Soaring ceilings w/skylights fill the interior w/light. The stunning downstairs mstr retreat offers a huge shower, dbl vanities, lg walk-in closet & access to private courtyard & sparkling pool. Secondary bedroom w/ensuite bath is down, & upstairs bedrooms share a jack & jill. Amazing island kitchen boasts built-in refrigerator, dbl ovens & gas cooking. INCREDIBLE storage & huge utility room. Truly an entertainer"
"Mid-century modern with smart home technology. Home owners thoughtfully updated throughout: lighting, bathrooms and kitchen. Wood floors refinished. Home freshly painted. Roof and HVAC replaced. New Privacy fence. Do not miss 516 sq ft Casita with office, 1/2 bath, laundry room, walk in cedar closet and extra storage Large covered patio ideal for entertaining. Lush landscaping. Multiple Energy Efficient Features. 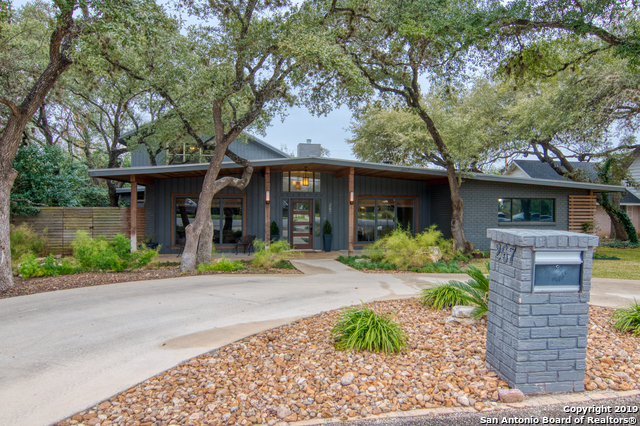 This home is a benefit of Noise Abatement Program Residential Acoustical Treatm"
"Updated beauty with a blend of traditional and contemporary styles, located in AHISD in Northwood Estates. This open floor plan has remodeled new kitchen that opens to a large living area, second living area, separate dining room, laundry room-four bedrooms, one could be an office-lovely patio and yard that wraps around side of house. Convenient attached two car garage. Move in ready! Recent updates are many, please see list in add'l. information." "STUNNING HOME JUST LISTED IN THE HEART OF NORTHWOOD! This Is a Must See Home!!! Granite and Stainless Chef Style Kitchen W/ All New Cabinets* Solid Flooring* Gas Cooking* Huge Gameroom W/ Wet Bar* Corner Lot W/ Covered Patio & Large Backyard* Transferrable Lifetime Foundation Warranty*Top Notch Location*Close to Shopping/Dining*Modern Lighting Inside and Out*Easy Access to 410*NEISD Schools*Beautiful Neighborhood!! !CALL US NOW!" 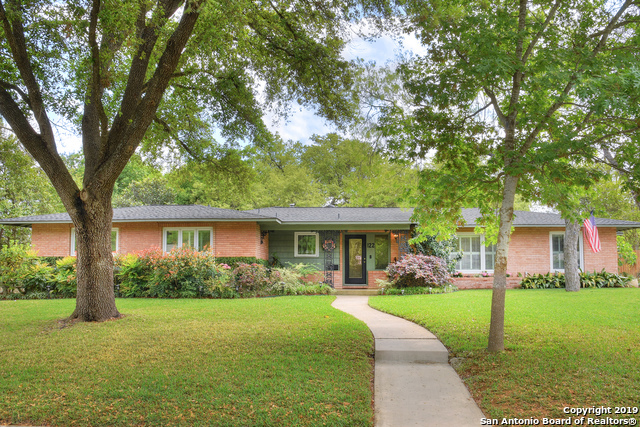 "This home is located on a quiet tree-lined street in AHISD. Perfect for entertaining on any level. The home has an open concept living and dining and a backyard oasis. New roof in 2016. New pool pump, new AC, abatement windows, indoor and outdoor fireplace, commercial-grade stove. 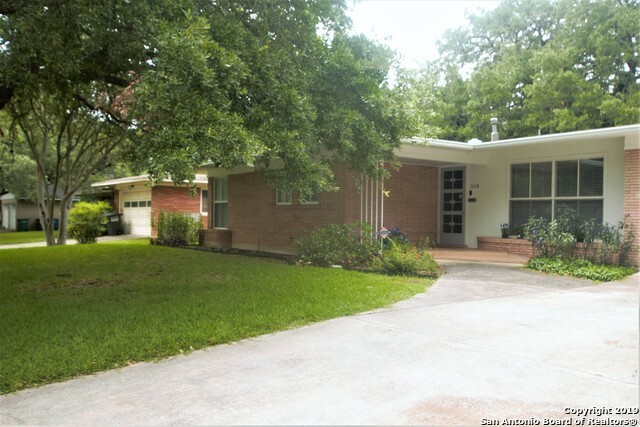 This well maintained home is ready for it's new owners." 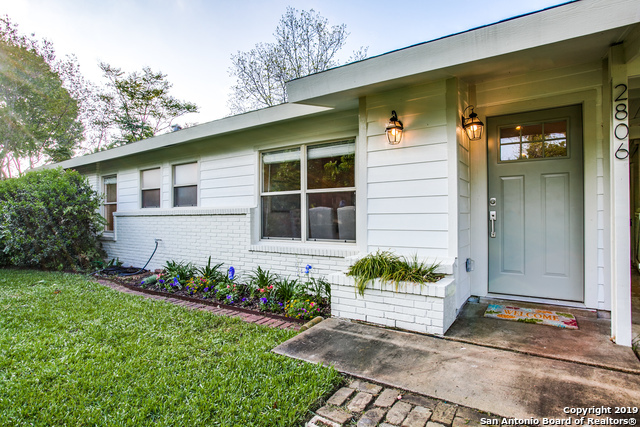 "Fabulous updated home in Northwood. 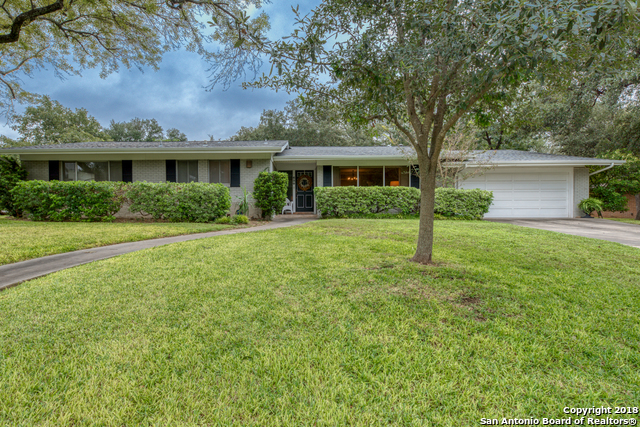 Walk to both Woodridge and Junior School in AHISD. Updated kitchen with two living and two eating spaces that will work for any family. Wood floors in living areas. Large windows in the front with plantation shutters. Kitchen overlooks large backyard and sparkling pool. Beautiful kitchen and laundry room with door to walkway that leads to the rear entry, two car carport. Couldn't be closer to schools, shopping, airport and easy access to freeways"
"Recently redesigned and updated, this spacious home sits on a large corner lot and offers 4 bedrooms, 3 bathrooms, and two living areas. Entertain with ease in the large kitchen overlooking the dining and family rooms. A den off of the master suite is perfect for a sitting room, office, or play room and includes access to the covered back patio and yard. Large secondary bedrooms include a guest suite with full bathroom. Move-in ready and priced to allow new owners to add their own personal touch"
"Beautiful ranch style home on the best block on Northridge. 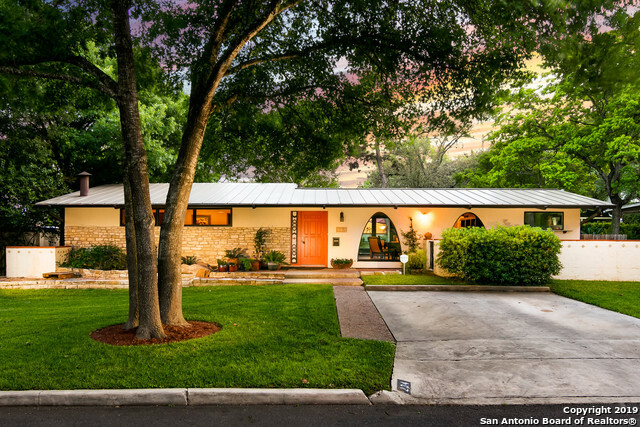 Updated with wonderful amenities and an addition by a prominent home builder in San Antonio and previous owner (Keith Shelly). Walking distance to 2 parks and 2 elementary school playgrounds. Authentic Saltio tile from Saltio, Mexico (with extra tile). New fence (2019), New roof (2016), new appliances (2013), New water heater (2017), New outside AC unit (2013), Foundation repair 2013 w/ warranty, rest of the house is on solid limestone." "NEW PRICE! 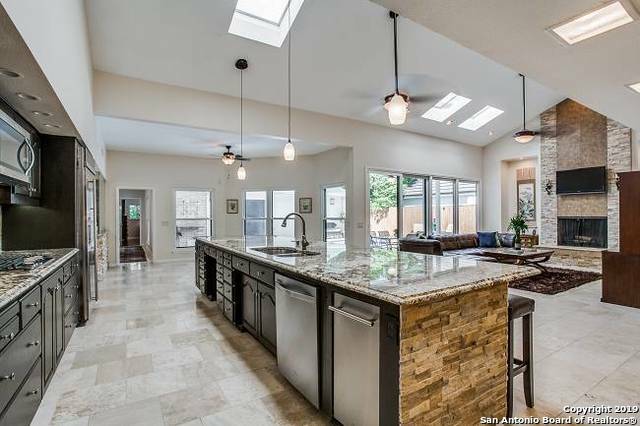 Northwood 4/2.5 beauty w/open floor plan & tons of natural light. Remodeled master/bath w/over sized double vanity, luxurious shower & huge closet! 3 more spacious bedrooms including 1 w/half bath. Gorgeous granite kitchen with stainless steel appliances and soft close drawers. Tile/wood flooring/neutral paint throughout. Flex/study offers many options. Metal Roof, .25 acre lot and new plantation shutters add to the appeal of this move in ready home! No HOA. $5000 in seller concessi"
"Beautiful brick home on spacious corner lot w/ rear entry 2 car garage. Bright open floor plan w/ original wood floors, separate master suite w/ multiple closets and outdoor access to pool and deck. Open kitchen w/ granite counters, island, double ovens, custom cabinets, wine chiller and breakfast room. Big family room w/ large windows facing pool has many uses. Mature trees and luscious landscaping. Great for entertaining!" "Great location! Spacious, updated 5 bedroom/3 bath home on a .58 acre lot. Spacious family room w/brick fireplace & laminate flooring. Updated kitchen w/granite counters, double ovens, smooth cooktop, & stainless steel refrigerator; Private 5th bedroom has full bath & access to covered patio, perfect for that additional guest. Large covered screened patio to enjoy the backyard view. Oversize garage & circular driveway for extra parking and convenience. 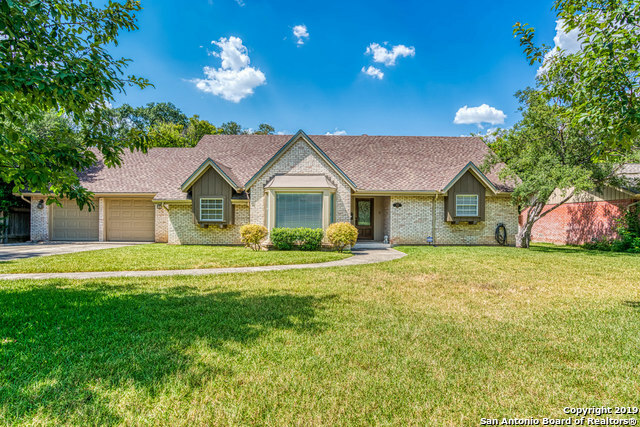 Close to schools, airport, and Ft. Sam. N"
"ONE OF A KIND home. Magnificent curb appeal, surrounded by green and flowering Gardens. Unique brick courtyard with beautiful greenery and plenty of shade to enjoy the upcoming summer months. Two huge living areas, custom fireplace. Updated European style kitchen, with reverse osmosis system, and granite counters. Master spacious with walk-in shower and jacuzzi tub, access to covered patio. The 2nd Br. has french doors and access to another garden/siting area. Lots of outdoor space perfect for e"
"Location Location! Corner Lot! 3 Car Garage! Pool! Movie Theater Room! 78209! Priced under market value! This house has so much value, that you have to see! Come take a peak at this house and call us to find out what else this home has to offer!" "Spectacular open floorplan! Fully remodeled with a recent addition in 2017-2018 of approx. 1,000 sq. ft. that offers 3 bedrooms with walk-in closets & ensuite bathrooms. Sits on 1/3 of an acre with privacy fence. 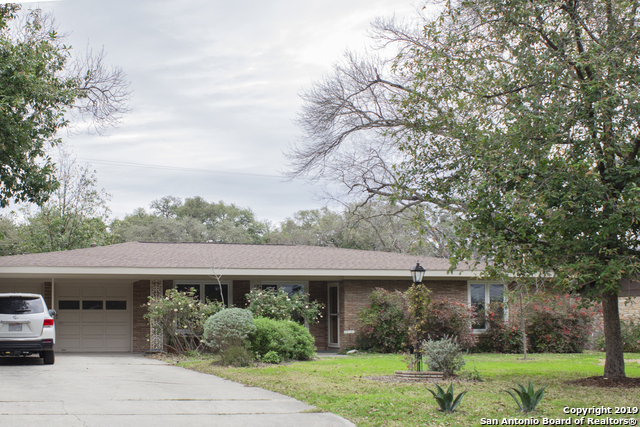 Located close to N. New Braunfels & Nacogdoches offers easy access to Loop 410 & major shopping areas. Must see." 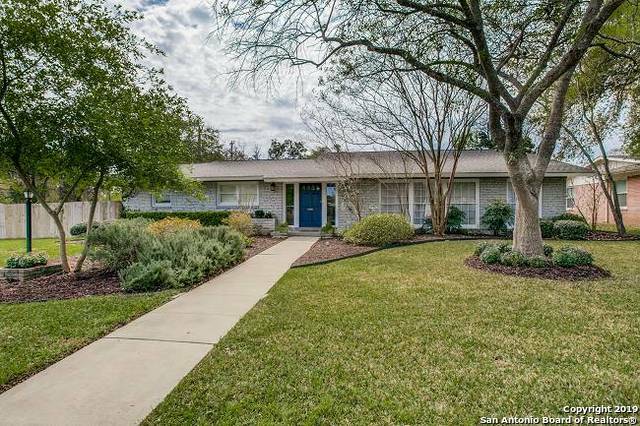 "MID-CENTURY MODERN HOME WITH BEAMED CELINGS, HARDWOOD AND TILE FLOORS, GRANITE COUNTERTOPS IN KITCHEN WITH TOP OF THE LINE MIELE APPLIANCES WHICH INCLUDE SMART OVEN AND 6 BURNER GAS COOKTOP NOT TO MENTION THE EXTRA LARGER UNDERMOUNT KITCHEN SINK. THE MASTER SUITE HAS A WALL OF BUILT IN CLOSETS AND DRAWERS THAT YOU HAVE TO SEE TO BELIEVE! THE BACKYARD HAS AN IN-GROUND POOL (FENCED) AND TONS OF YARD LEFT OVER FOR KIDS OR DOGS TO PLAY. NEW ROOF, NEW HVAC, ALL NEW ELECTRICAL THROUGH OUT HOME (ALL DO"
"One Story ranch at the end of a quite cul-de-sac street. Interior feature hardwood floors throughout- no carpet. Tile in kitchen, breakfast and family room. Kitchen has corian counters, ample cabinets, breakfast bar and open to family room. Large covered patio, mature landscaping and privacy fence. Split bedroom set-up and 4th bedroom could be office. Minutes from shopping, hospital, schools and more." "Gorgeous wood flooring welcomes you inside this versatile Northwoods ranch stunner. Kitchen serving area overlooks generous family room with statement corner wood-burning fireplace. French doors lead out onto incredible custom outdoor living space. Separate fenced garden/dog run. Updated master suite with multiple closets and outside access. Generous secondary bedrooms. Elfa closet systems maximize space. Recent interior & exterior paint. Mature, lush lawn. Gorgeous trees & landscaping. Gutters!" "This Northwood home boasts an over-sized landscaped corner lot, enjoy summer time on the patio while taking breaks in the pool. Roof is approximately 2 years old, freshly painted inside, new double ovens. new flooring in the entry and family room. Family room with a large fireplace overlooks the backyard and pool. Entertain family and friends with plenty of room inside or out! 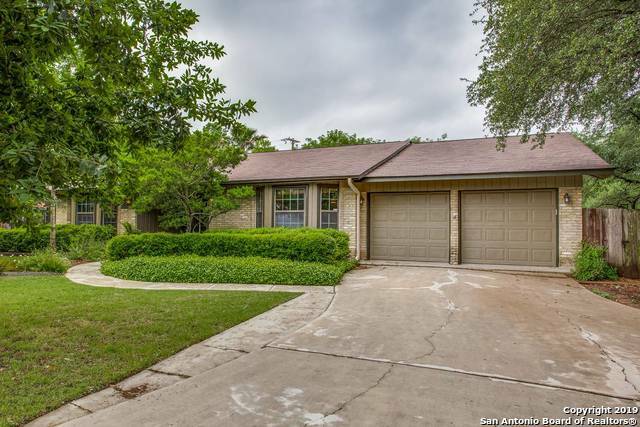 Northeast ISD, a few minutes walk to Northwood Elementary School and close to downtown, and the airport." "Adorable home in a quiet northeast neighborhood. The home features a large living area with a separate dining and eat-in kitchen. The master bedroom is large and has two closets and on-suit bathroom. Beautiful, established trees and landscaping adorn the spacious back yard. Attached two car garage. 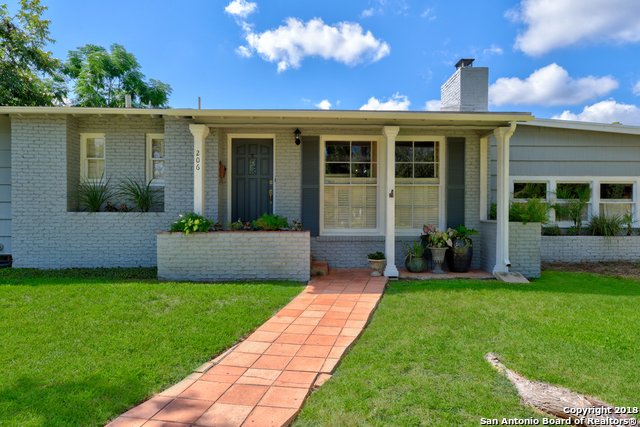 Easy access to Alamo Heights, Shopping, The Pearl and the airport." "This amazing full remodel (Summer 2018) boasts vicostone surfaces, custom oak cabinetry and closets, samsung appliance suite, new water heater, roof, tile backsplashes, fixtures, etc. The property has mature trees and lush landscaping while the clean and neutral interior maintains ample natural light and a flowing, sensible floorplan. A full sized laundry room with window, cabinets, surface and storage solutions is just a step away from the side door and under cover. You must see this one." "A lovely three bed, three bath home with nostalgic charm. This attractive home with numerous desirable features has been well-kept and much loved by one family since built. Original White Oak traditional strip flooring throughout most of home. Family room has beautiful cork floors. Custom blinds for every window. Light filled sunroom gives full view of landscaped yard. NEISD School District. Northwood Elementary school within walking distance. 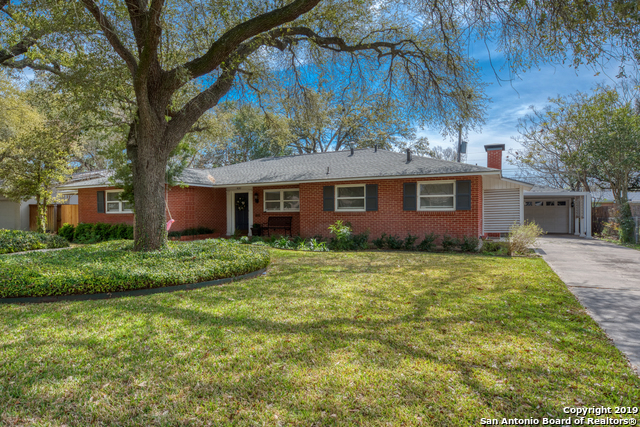 Prime location minutes from airport, downtown and Ft"
"Fantastic listing on a spacious lot with mature trees in NEISD. Close to elementary and middle school and there is a park less than a block away! Fantastic built-in cabinets in each bedroom, large closets (double walk-in closets in Master), TONS of storage everywhere you turn, including a large storage closet in the garage! Eat-in kitchen, large living/dining combo, original bathrooms in excellent condition, true Master suite. Laundry/mud room indoors, open floor plan, large covered patio, ne"